SO! 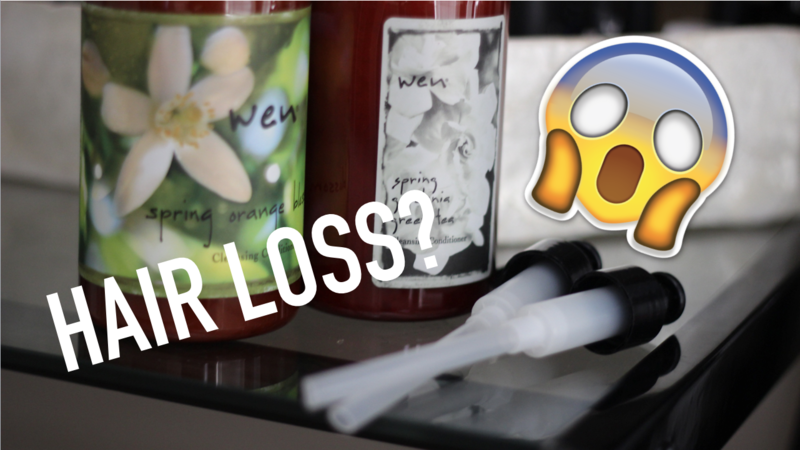 A day or two after my WEN Hair Care article posted, something happened. The FDA came out and reported that a PLETHORA of women had some pretty CRAZY results from using WEN Hair Care. Hair loss, balding, rash and more are amongst the effects reported by thousands of women. the company … did not address safety concerns related to hair loss. We do not know if the company has other safety data, and we do not have the legal authority to require a cosmetics firm to provide product safety information. There is no evidence that WEN products cause hair loss, and the ingredients and formulations meet or exceed all recommended safety and quality standards set by the industry. We stand behind them. We have consistently cooperated with the FDA and intend to continue to do so. For now, I’d rather be more safe than sorry. I will discontinue using these conditioners. In addition to these cleansing conditioners I have the entire WEN SixThirteen system (also given to me at BeautyCon Dallas) and do not plan on reviewing it. Until more details come out about the class action lawsuit against WEN, and until some concrete FDA findings are published I will not be using them. I just can’t get past the fact that 21,000+ women have actually filed complaints to the FDA, and there not be ANYTHING in these products that have contributed to their adverse effects. That’s my opinion as a consumer. We shall see what comes of all of this! Have you used WEN products? Experience any negative effects? Comment below and let me know!